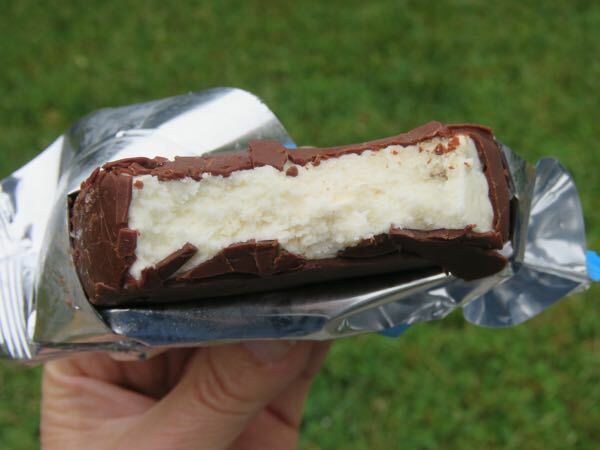 Calories: 300 calories in 1 "slice"
Welcome to Day #8 of Chocolate and Ice Cream Theme Week. 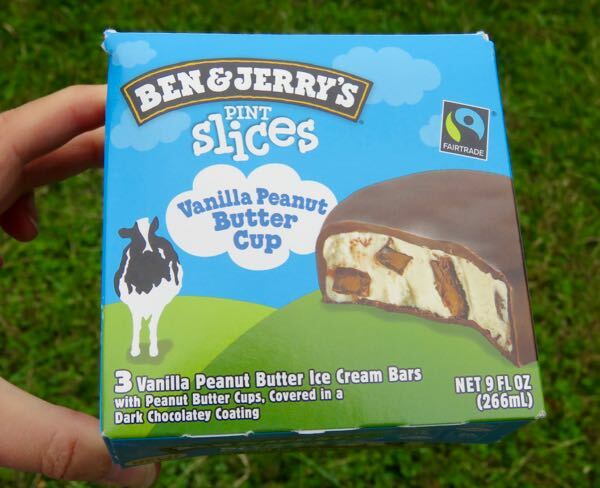 Today's Vanilla* Peanut Butter Cup Pint Slices from Ben and Jerry's Homemade, Inc. (Burlington, VT) were comprised of vanilla ice cream and peanut butter cup pieces, and covered in a Dark Chocolatey Coating. 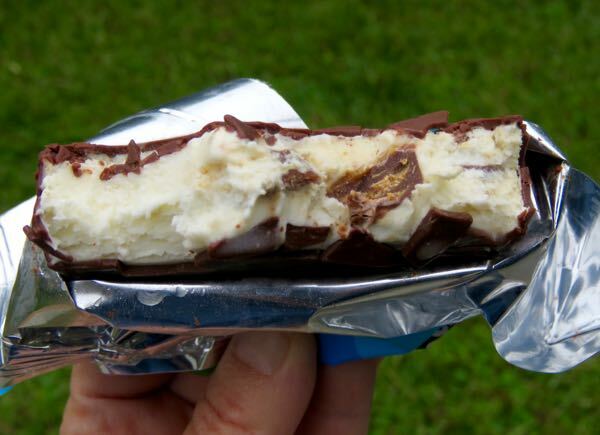 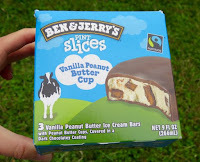 These individually-wrapped Pint Slices contained a pleasant vanilla ice cream, and fleeting glimpses and bites of peanut butter cups. *The vanilla in these slices came from Fairtrade Certified farms in Uganda.